Here is a gift item which is perfect for gifting to the special ones on special occasions. The gift item is assorted imported chocolates in a designer eva bucket. It is filled with fifteen Imported chocolate bars all are very delicious in taste especially handpicked for our regular customers. This is a mind blowing assorted chocolate bars that are elegantly arranged in a stylish eva basket The Imported chocolate has a very soothing taste and melts beautifully on the tongue. Chocolates are nice gift for any occasion. 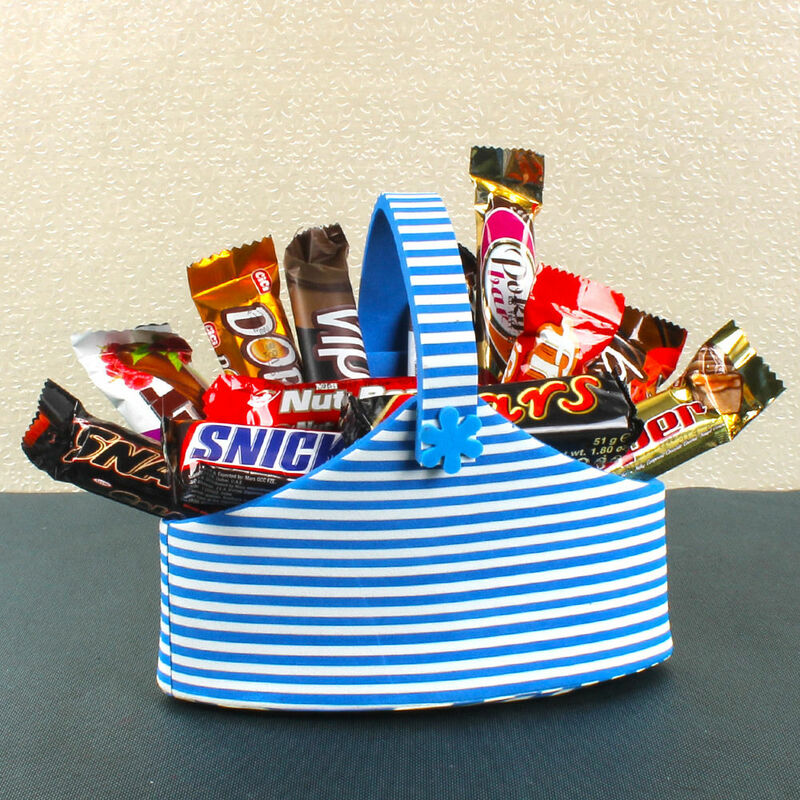 Make your friends and family feel special by gifting this little bucket with assorted imported chocolates on occasions like birthday, anniversary, wedding or any other gifting occasion. Product includes : Eva Basket of 15 Imported Chocolate Bar.